A cool $113,900 is the starting price tag for the 560 hp twin-turbocharged V8 that’s mated to a lightning-quick 8-speed automatic transmission. It is a lot of money, but you do get a lot of car for that money. Audi is one of the best manufacturers when it comes to interiors, and what’s found in the RS7 is one of the best, albeit missing a seating spot in the rear. With the right options, like the Performance 605 hp trim, the Audi RS7 will hit a top speed of 190 mph after obliterating the quarter-mile in a dash over 11-seconds. 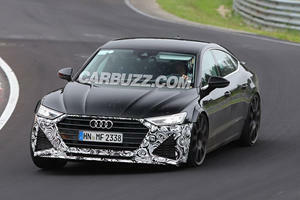 The Audi RS7 really cannot be faulted. 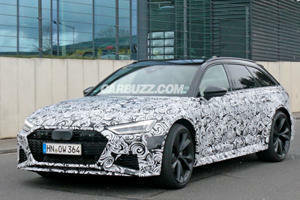 When you give a sedan a nice and smooth sloping rear roofline, it becomes a Sportback, and there aren’t many as good-looking as the Audi RS7. There also aren’t as many that pack as much power, the RS badge on this car is earned thanks to a twin-turbocharged V8 with a healthy 560 hp available that’s able to propel the car to 60 mph in less than 4-seconds and take it to 174 mph on top. As for the rest of the car, well that’s pretty much as good as it gets. It does cost a lot, but you do get a lot for that money. If you add in around $17,000 the word ‘Performance’ is added to the name and that brings 45 more horses to the party. 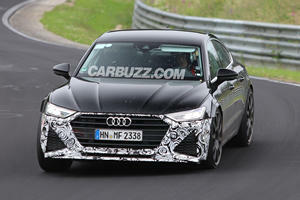 The cabin of an Audi bearing the RS badge is more like a leather-trimmed cockpit. It’s immediately clear that the focus is on speed and performance thanks to the leather-bound sports seats and the chunky RS multifunction steering wheel. The center console is headed up by a color touchscreen that’s angles towards the driver, as too is the RS shifter that looks much like a manual one. Space is great up front with the 22-way adjustable seats that have to be among the best on the market. Rear space is good too; the only real difference between the Sportback and other sedans is the sloping roof compromising headroom a little. The rear seats also have a bucket-like height to compensate and there’s also only place for two with the center section being for storage. They do fold flat to allow for more storage space, not that you’d use an RS7 to help someone move house. With the Sportback wearing that coveted RS badge, you can expect a drive that’s above average. With so much power on tap you might expect a car that’s a little harsh and hard to control, but in reality you have a smooth engine and gearbox and a smooth drive. The RS7 uses Dynamic Ride Control coil suspension with adjustable dampers, and when needed things firm up to provide brilliant handling, of course the Quattro system also helps with the precision handling. Feedback is good through the electronically assisted setup and so the overall package inspires confidence. Of course if you get over confident a plethora of driver aids will come to your rescue, like automated emergency braking. Power is smooth with smooth gearshifts, but in Dynamic mode you can definitely feel things get a little more aggressive with a more responsive throttle, higher RPMs and quicker gearshifts. The Audi RS7 is a precision driving tool. Performance and an RS badge goes hand in hand, and the RS7 falls into the top echelons of performance. The car shares a powerplant with other RS models, and the one chosen to power this Sportback is the twin-turbocharged 4.4-liter V8 that makes an amazing 560 hp and 516 lb-ft of torque. In this 4-door car that equates to hitting the 60 mph mark in just 3.7-seconds before running on to a top speed limited to 174 mph. The 8-speed automatic transmission is great and had a few drive modes to suit varying situations. It can be a silky smooth operator or a quick, sharp and precise tool for mashing through the gears is a matter of split seconds. Tick the Performance box and an ECU and boost change sees power rise to 605 hp with 553 lb-ft of torque. Here’s it’s ever so slightly quicker with 0-60 mph in 3.6-seconds, but the top speed shifts up to 190 mph. Just about every Audi out there has a good list of options, driver aids and safety features but in an RS models thing get a lot more premium. The dash and trim can be had in a few finishes, but the ones with piano black, carbon fiber and brushed aluminum are usually the top choices. An 8-inch screen heads up the Audi MMI system that’s geared to link to smartphones and other devices to stream music, and show the navigation. The Driver Assistance package is a good option that adds in adaptive cruise control, lane keep assist, and automatic emergency braking along with automatic high-beam headlights. Every other safety-related acronym is in the RS7 too, along with front and rear head airbags and dual front side-mounted airbags. product of simply driving the car. Having as much as 605 hp available combined with a brilliant transmission and an all-wheel drive drivetrain results in a 4-door family Sportback that can outclass cars on a racetrack as well as in a straight line too. It’s not a cheap car no matter which trim you option, but then again it’s never been marketed as affordable. 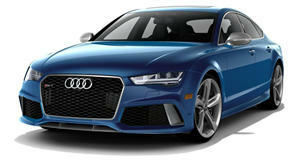 The Audi RS7 is for someone with the budget of a supercar but the needs of a family car. It’s the best of both worlds and is worth every premium dollar spent. Get a good look at your 600- horsepower super wagon.